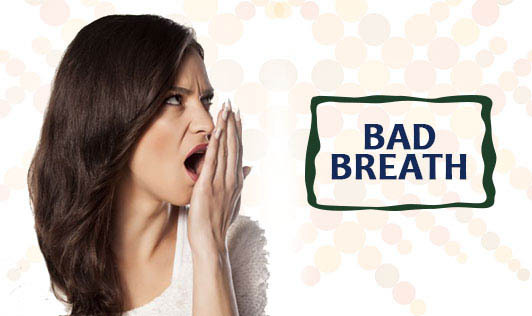 Halitosis or bad breath can usually be eliminated by sensible eating habits and thorough oral hygiene. Eating plenty of fibre rich foods such as raw vegetables, fruits, whole grain cereals help to massage the gums and keep them healthy. Cut down on sugar, sweets, sweet drinks, cakes and biscuits to protect the teeth and gums and reduce plaque. Constipation, ulcers and indigestion can provoke halitosis. Sucking peppermints or chewing gum may hide it, but it is best to deal with the cause by increasing fibre and fluid consumption.